When Gourmet Magazine closed its doors in 2009, the influential and talented Ruth Reichl continued recording her food adventures in books; years later, she's still finding satisfaction, inspiration, and a paycheck through the daily act of preparing, consuming, and discussing her endlessly delicious life. Even though an expanding career in sustainable agriculture and a small child at home afforded me less time to record/document my food-related adventures this year, my job and daughter simultaneously afforded me new edible opportunities. So while I am no Reichl, I am grateful for my endlessly delicious life. 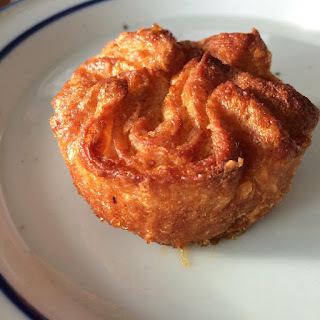 And with that in mind, here are my favorite food-related things from 2015, in no particular order. A trip to Portland meant dinner at Pok Pok. I rounded up a group of 12 colleagues, and the kind folks at Pok Pok graciously served us dozens of dishes at a colorful table located on a three season porch. 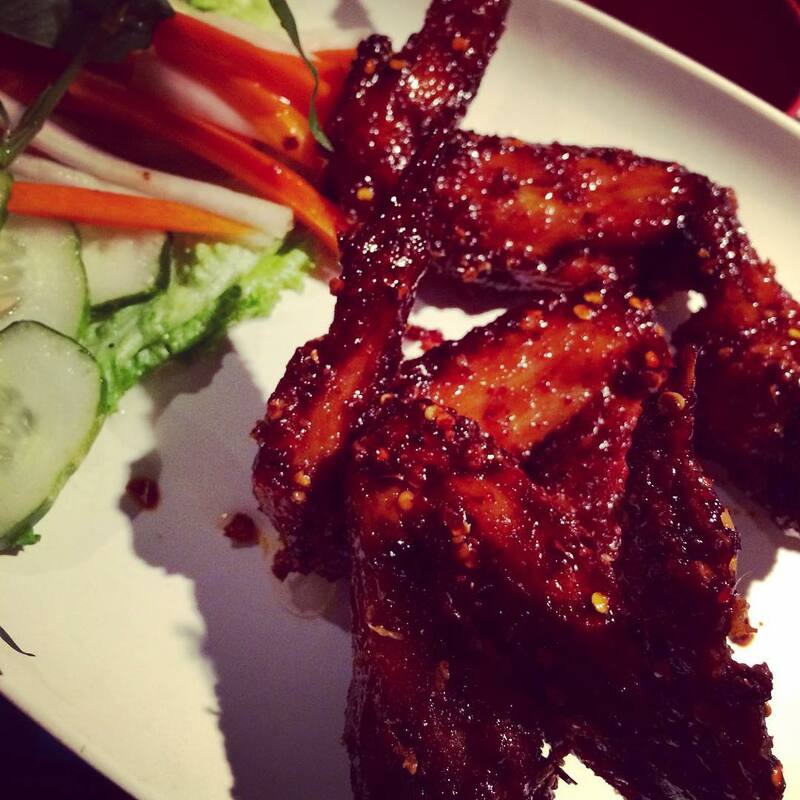 The famous chicken wings they served up were juicy and tender, and the crispy skin was generously bathed in a glaze expertly balanced with sugar, fish sauce, and chili paste. 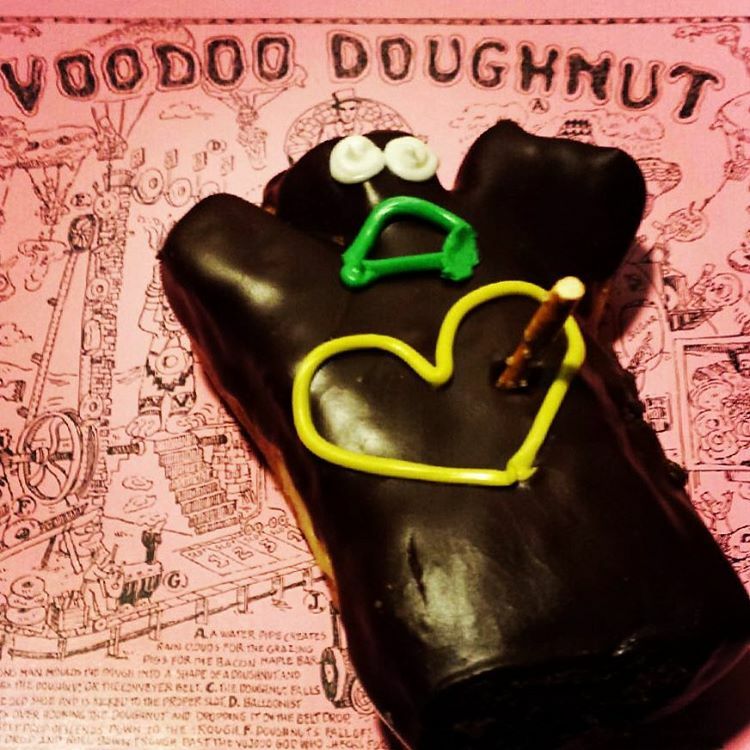 A night of Portland microbrewery tours gave rise to a hankering for VooDoo Doughnuts. While the namesake doughnut pictured here garnered the most attention from the masses, the apple fritter and the old fashioned cake doughnuts garnered the most love from my taste buds. I planted totsoi in my garden for the first time this year, and I'm pleased to report that it's killer. 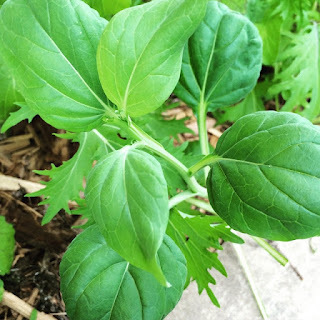 Tender, succulent, and just a bit spicy, it's become my favorite green to grow at home. 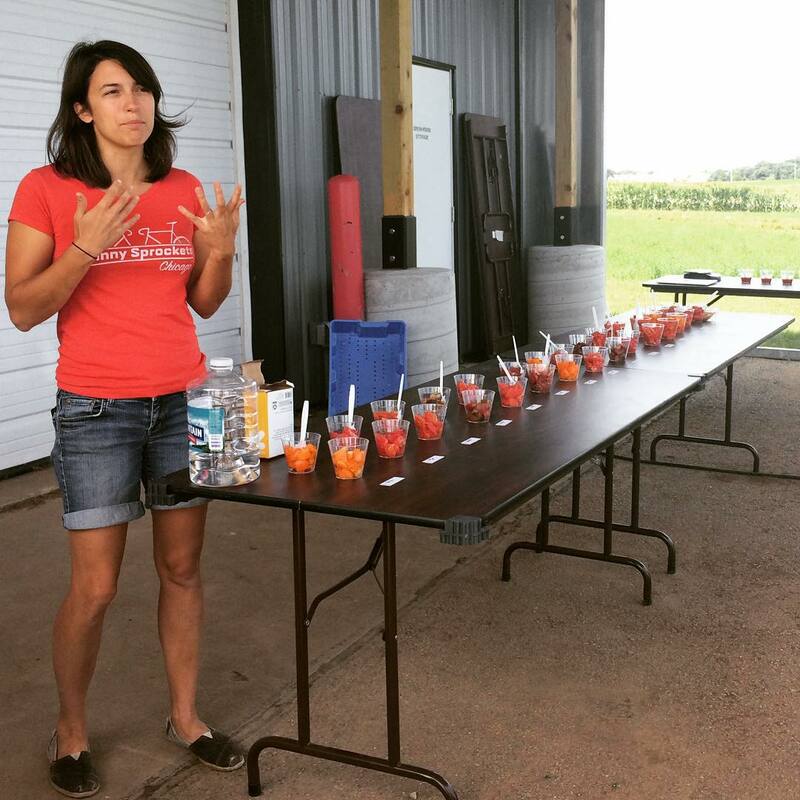 While taking a tour of the West Madison Agricultural Research Center in Wisconsin, we chanced upon a graduate student running a tomato taste test. We were lucky enough to get roped into participating in her taste test, and it was a lovely way to pass a sunny afternoon on the farm. 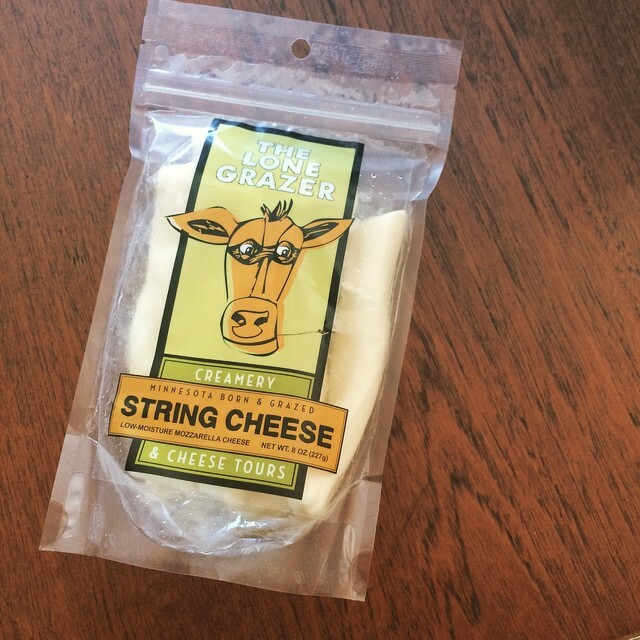 Two Minnesota cheese makers made big splashes this year with seemingly basic products - cheese curds and string cheese. 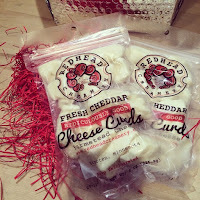 Red Head Creamery's cheese curds are HUGE, squeaky at room temperature, and "udderly" satisfying. 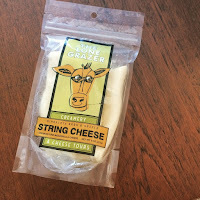 Lone Grazer's string cheese is hand stretched, and you can tell; it's super stringy and has a salty milkiness that keeps me running back to the co-op for more. 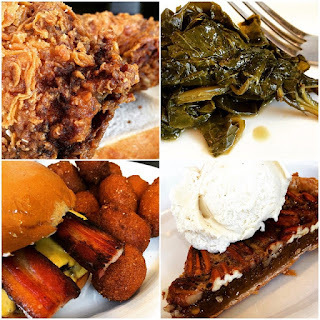 Revival in Minneapolis sizzled onto the scene with some of the best fried chicken I've had the pleasure of devouring. The Southern fried chicken is everything I want in fried chicken - the skin is heavily seasoned, lightly breaded, and fried to a crisp, the meat is tender and juicy, and it's served with dynamite sauces. The collard greens are a salty/sweet side that pair perfectly with the chicken, and the burger gets plenty of warranted applause with its double patty, cheese, and bacon. Don't even get me started on the pecan pie. A visit to Revival is worth the extra sit ups. 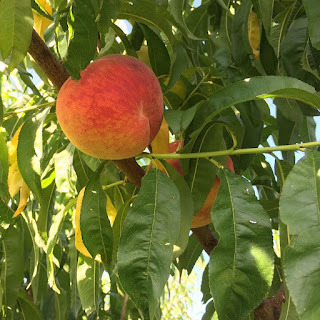 I picked this peach from a secret location in Illinois. It was sublime in a way that only a freshly picked, sun-warmed, juicy peach can be. 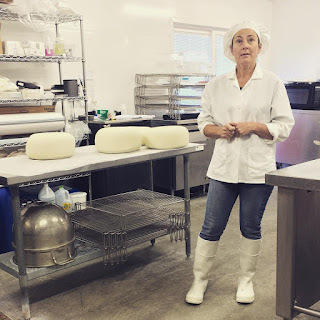 I had a chance to visit Charuth Van Buezekim's Dutch Girl Creamery in Nebraska this fall. 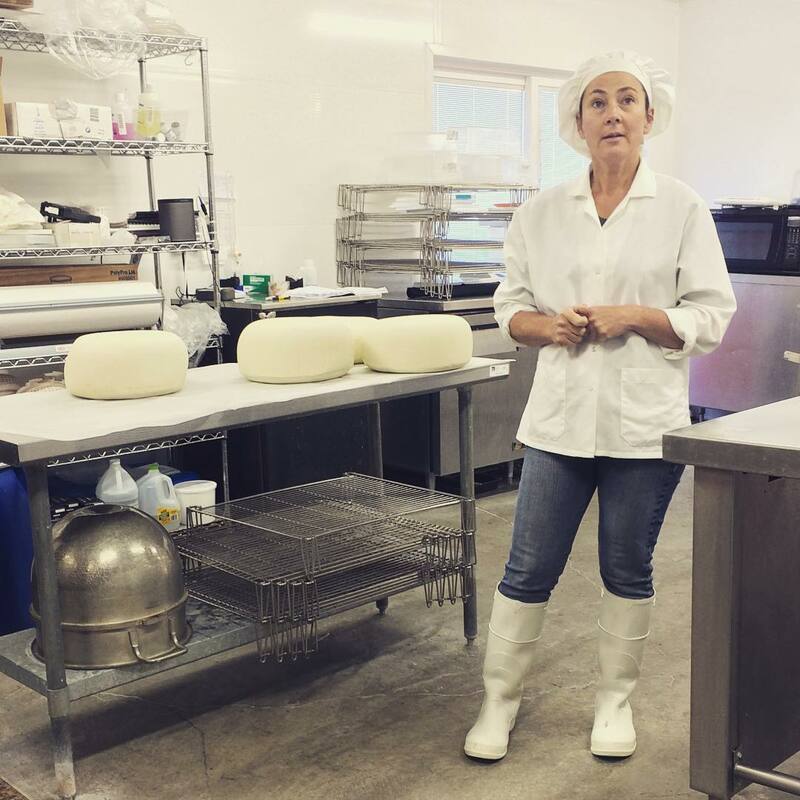 She won an American Cheese Society blue ribbon for her Rosa Maria manchego-style cheese in July 2015, and now I know why. It's too legit to quit. If you're as big a fan as I am of the Great British Bakeoff, you'll understand how one's brain becomes boggled by the bounty of pastries that exist. Fortunately, I have a friend who is a pastry chef, and who is endlessly curious about ways to combine flour, butter, and sugar. Carrie made kouign amann and I love her for it. 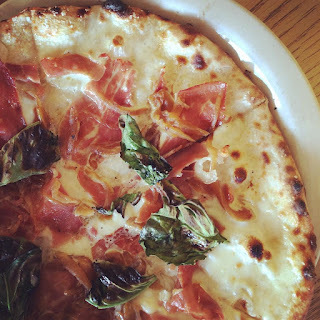 Should you find yourself in Ames, Iowa, The Cafe is a great choice for fresh, local food, but Vesuvius Pizza should make your short list. Their #9 signature wood-fired pizza boasts a garlic cream sauce, La Quercia prosciutto, fresh mozzarella, caramelized onions, and fresh basil. The strip mall pizza joint features a good selection of craft beer and artwork by Minneapolis's own Adam Turman. Never underestimate the power of a fantastic luncheon with a foxy fabricator. 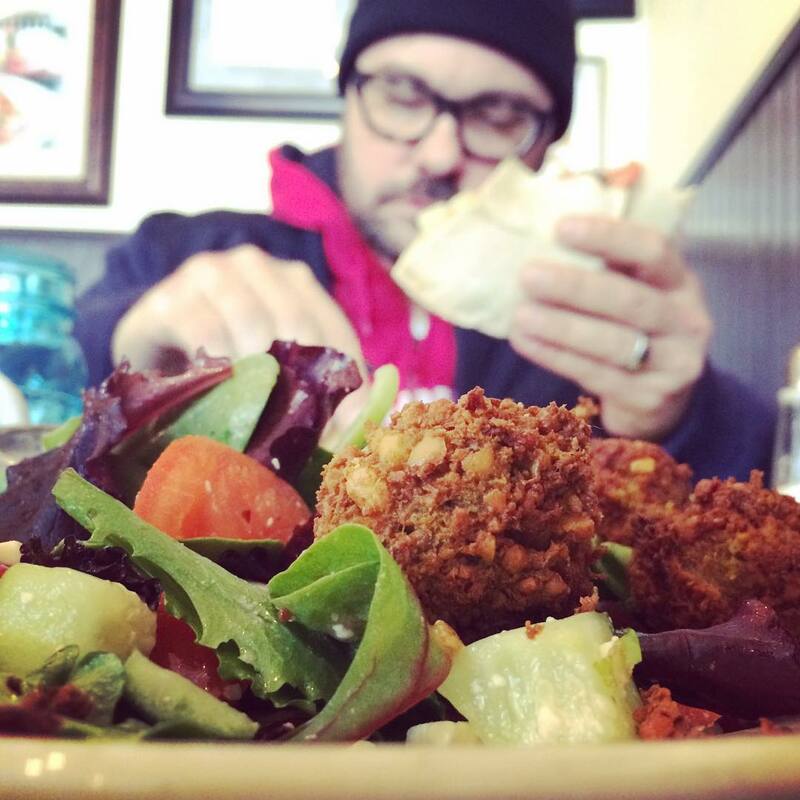 After a successful run as a food truck, Foxy Falafel opened a bricks and mortar restaurant in St Paul awhile back, and the cozy location proved to be memorable spot for a luncheon date complete with crispy-on-the-outside-fluffy-on-the-inside falafel balls, lightly dressed fresh greens, beer, and sweet treats. Our industrious and fun-loving neighbors hosted their annual "Fryfest" again this year. 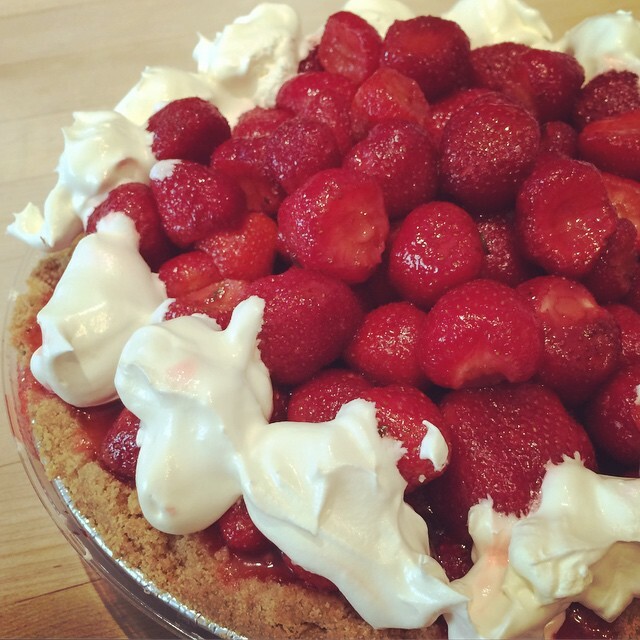 I brought some deep fried Vietnamese style egg rolls as an entry and won this homemade strawberry pie. This year, I spent most of my actual birthday on the road en route from Nebraska. 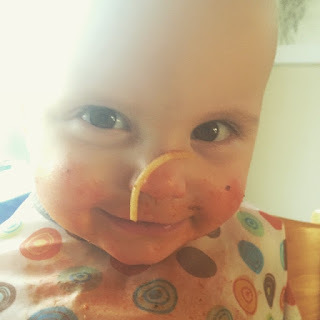 This weary traveler came home to hugs, a bouquet, and a warm spaghetti dinner. Spaghetti dinner with this little gal and her dad never gets old.